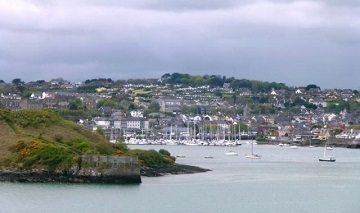 Our first cruise in company of the season will take place on the 2nd of May when we will head for Kinsale. On route we are planning a raft up in Oysterhaven for some lunch and light refreshments, from there we will go on to Kinsale where we have organised a 3 course dinner in the Kinsale Yacht Club for €30 per person, there will also be a childrens menu available. This will be followed by some music. The club has offered us a 20% discount on the marina and no harbour dues. “This is always a great weekend to kick off your summer cruising, so no excuses” All welcome, by land or sea.